Starting a Business is a big task you need to consider several things before taking the plunge of entrepreneurship. If you don’t do your homework properly you may end up losing money in the business. The major challenge in the business is to take a right decision at right time. When you are working for the company decision-making process is easy and it is backed by many people. On the other hand, when you run an organization you need to own up the decision responsibility lies entirely on you. So, it is worth to do homework before starting a business. Here are 10 points you must consider before starting a business. These points will surely help you in establishing and running a successful business. First, you need to ask yourself that what will be your product or services? What problem are you trying to address? Your product or services will be able to generate enough revenue or not.? If you can’t answer this probably you need more time to think through your business idea. When you think about solving problem think differently. Focus on building a must have not a nice to have product. Solve a real painful problem. Like google made online search simpler, Uber gives instant car cab services, Airbnb gives vacation room at a cheap cost. What funds do I need to start a business? Another million dollar question – Do I have funds to start this business? Calculate your exact fund requirement and find out a source of capital. Think about absolute need only. You can always start a business with low investment and add more capital at a later stage. It is advisable not to go for big bang approach. What resources I have to start a business? Along with evaluating fund requirement you need to also assess what type of resources you have. This includes machinery, raw material, and manpower required for starting a business. So, make a list of everything you have that can help you in starting a business. You cannot play a game if you are not aware of players. So, find out what is your competition? You can do that by market research. Make sure to enter in a business where you have less completion. You may not survive if you jump into a business where competition is more. If you see competition in the business you need to decide if you can offer something better or not. Another important question you need to ask yourself is do you have a passion for doing a business? Passion is something inside out. Passion in business can help you in succeed. Passion is what drives you. Passion keeps you going despite difficulties that may arise in your business. If you are doing a job and planning to start a new business important question to ask is do you have time? Business demands dedicated time and hard work. If you can’t devote time to your business there is no point in starting a business. Why is very important in business. What is your objective behind starting a business? If your objective is only earning money you may not go far. Your objective should be building a product or services that solve people’s problem. In addition this you should also ask yourself – Why someone should buy your product or services? Answer of these questions will surely help you in going ahead. Is my business idea Interesting? It usually takes three to five years of dedicated efforts to deal with challenges of new business. If your business idea is not interesting you may end up leaving in between. Thus you will not able to establish successful business venture. How unique is my business idea? It is important to select a unique business idea. Your chance of getting success is high if you select unique business idea. You can take a look at some unique business ideas given here. You need to do extensive research on available products or services to ensure that your idea is valuable. Can I survive during the initial period? Before taking a final call on starting a business you need to ask yourself that Can I survive during the initial period of business without earning money? Your business may not generate regular income for you for months or even for years. You have to make up your mind for the adverse business condition during the initial period. Do proper homework, validate your business idea and make sure your idea has potential. 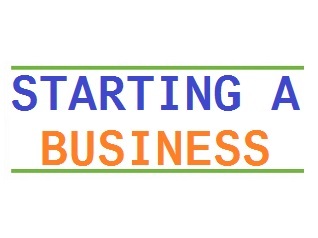 Don’t just start business for the sake of starting. Well done but you left most important thing that is skill set or know how or experience of a business which is very much also required .